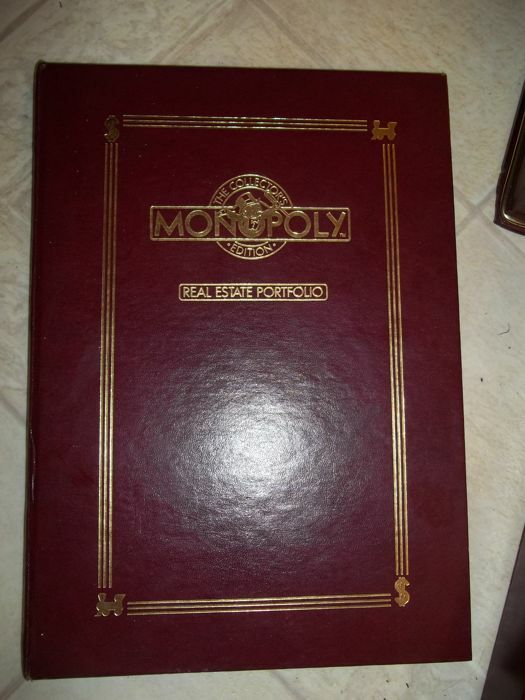 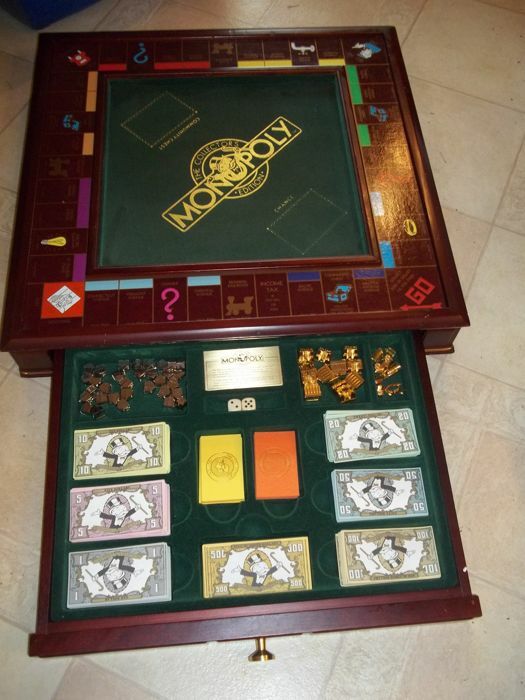 Franklin Mint Monopoly - The Collector's Edition - 1991 - Very good condition. 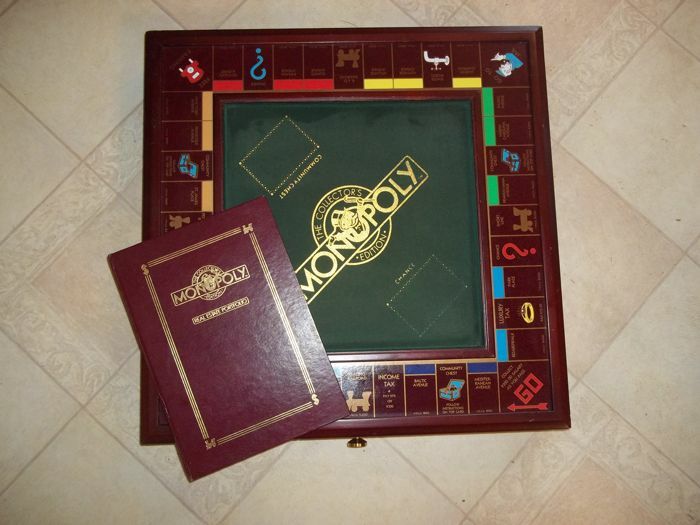 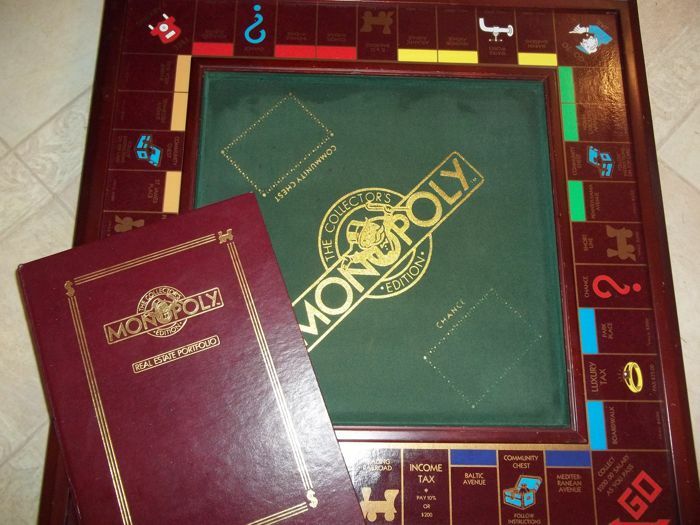 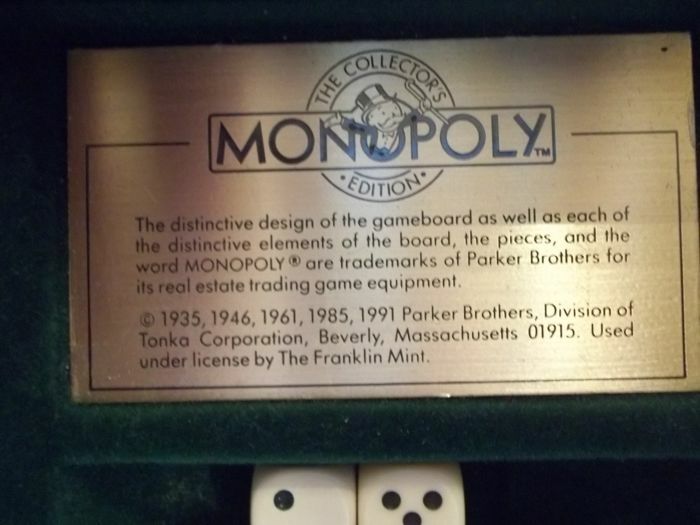 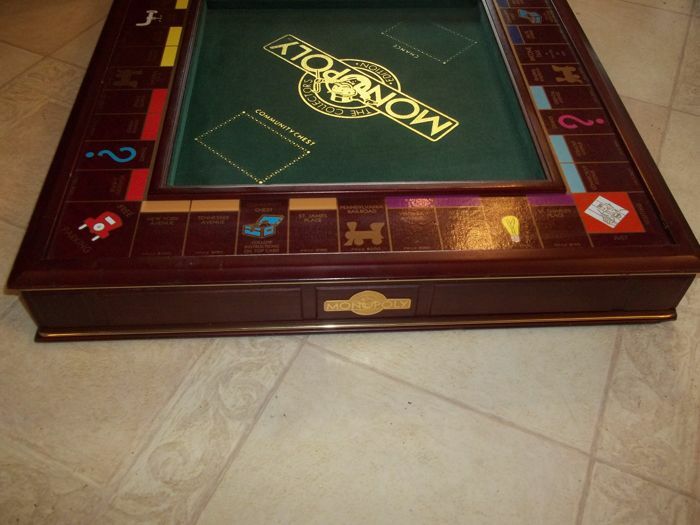 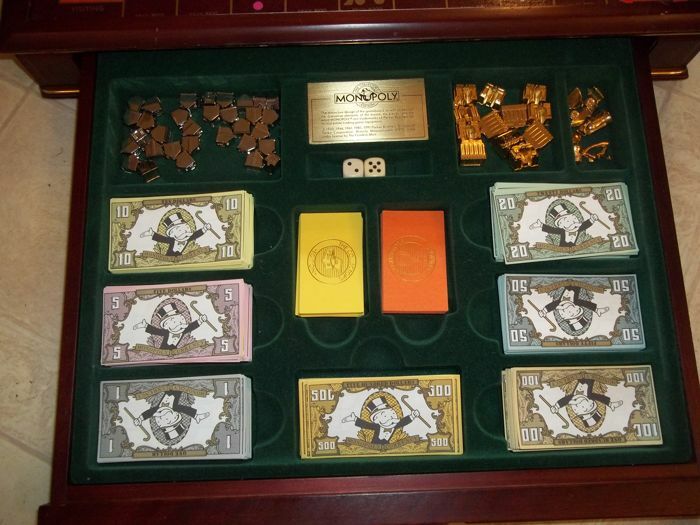 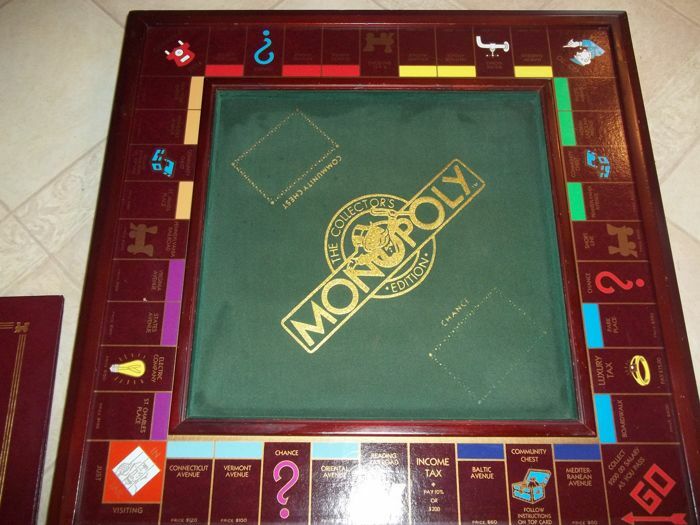 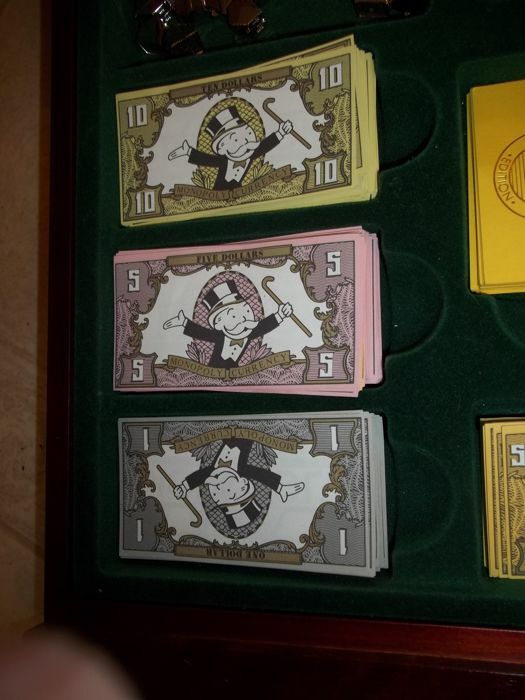 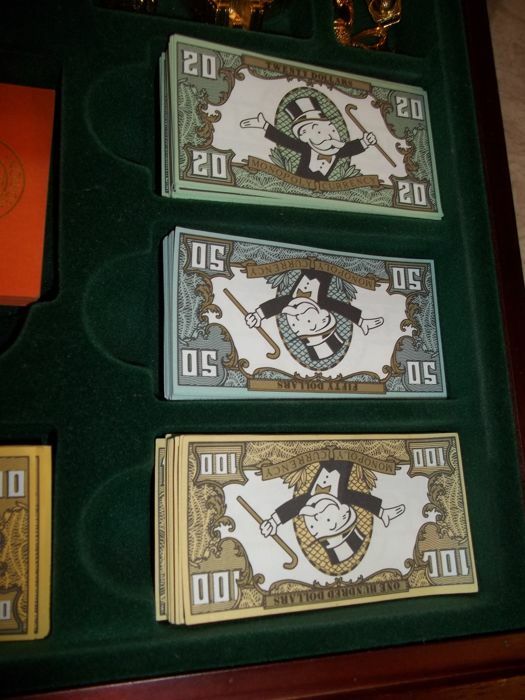 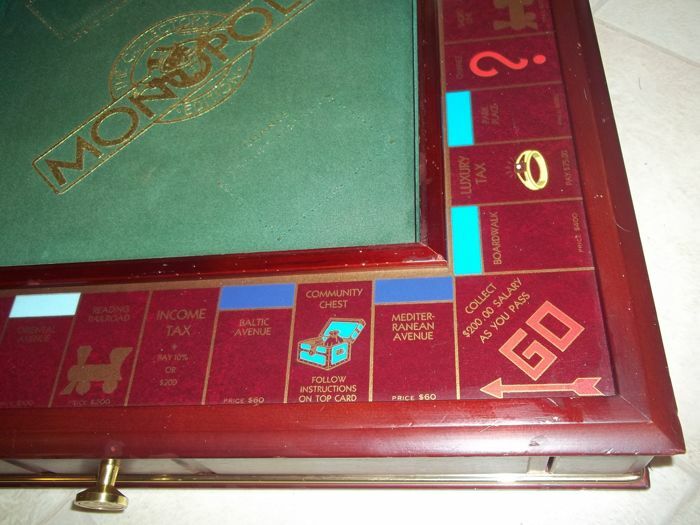 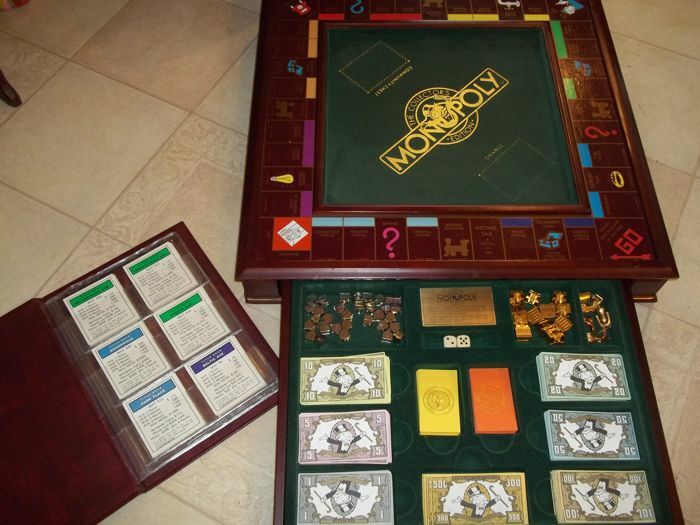 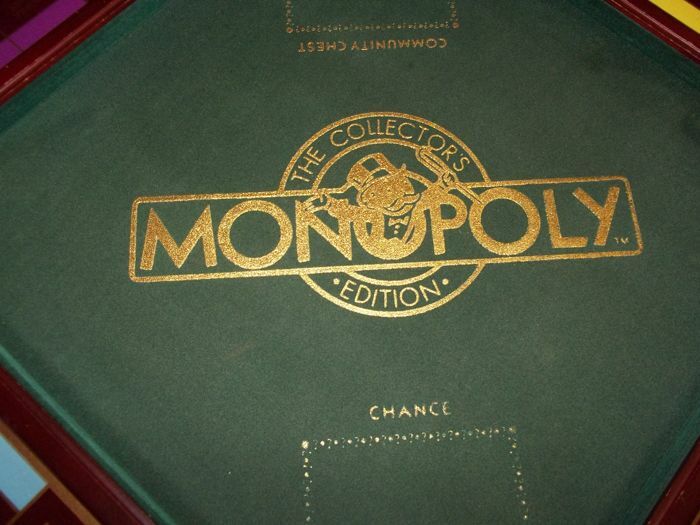 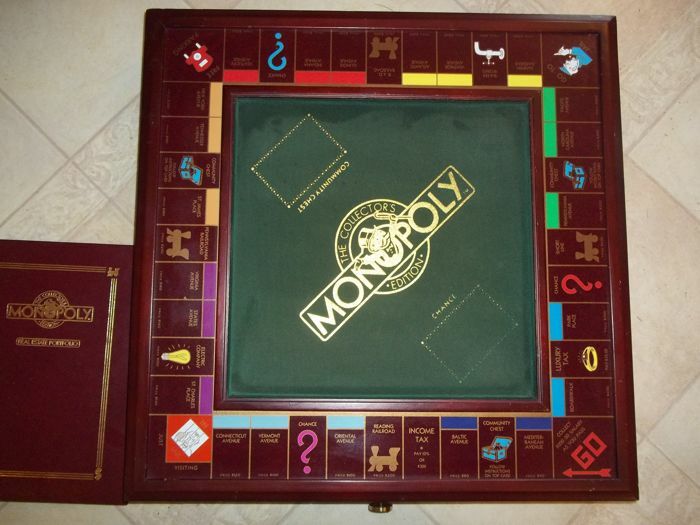 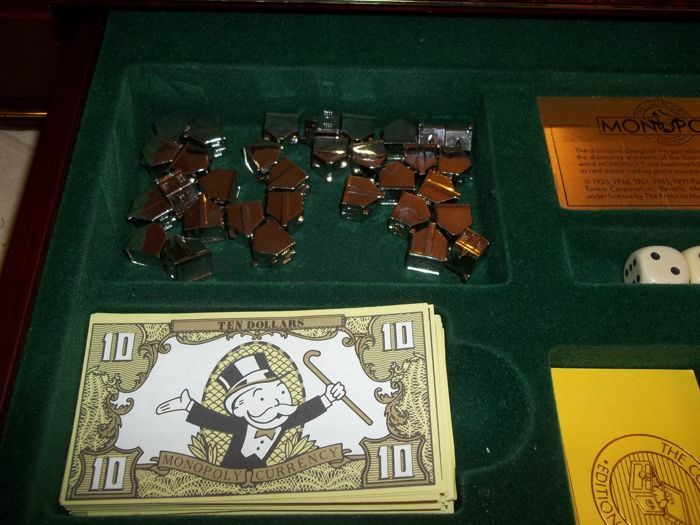 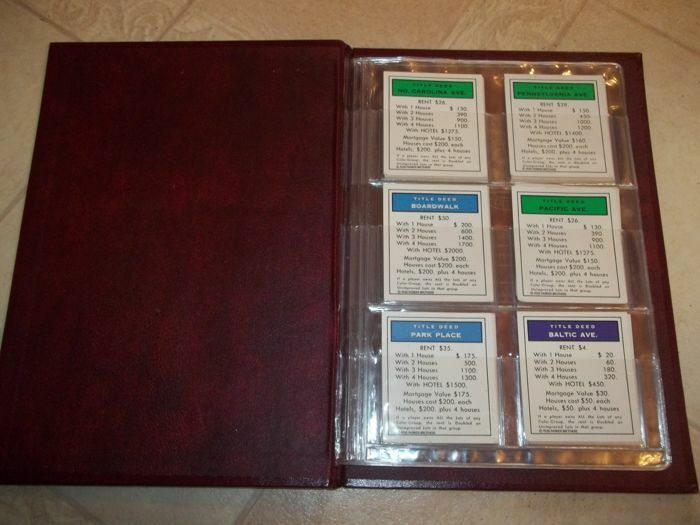 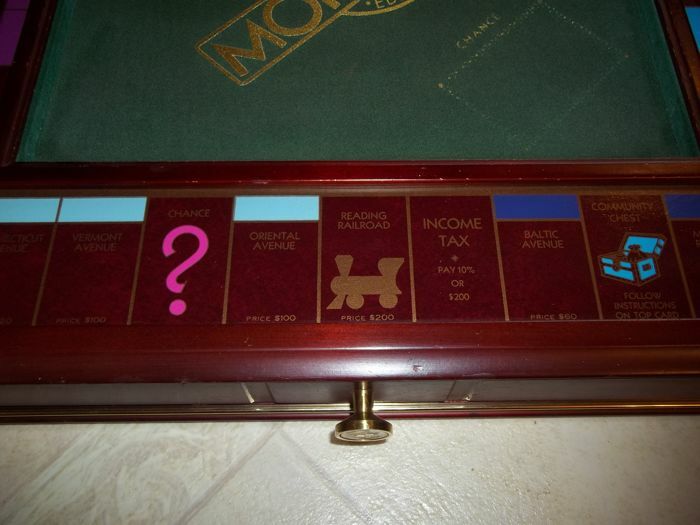 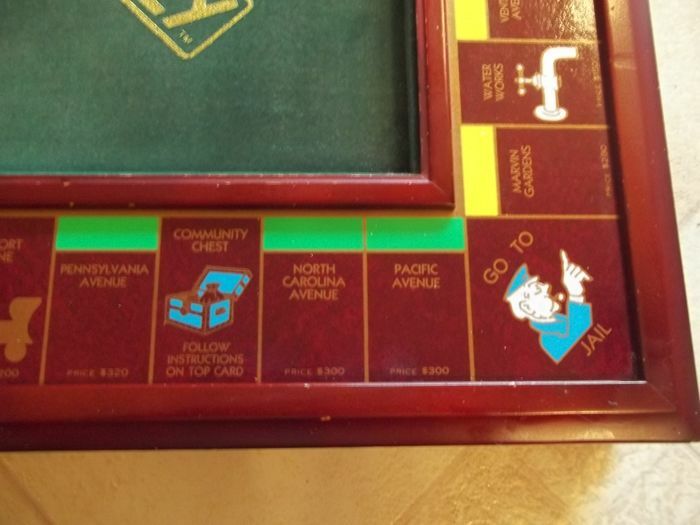 Franklin Mint Monopoly - The Collector's Edition - 1991. 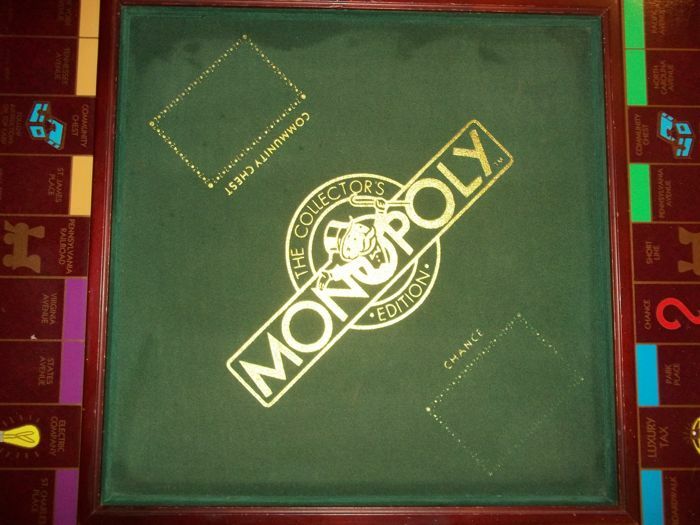 Dimensions: 53 cm x 53 cm x 8 cm. 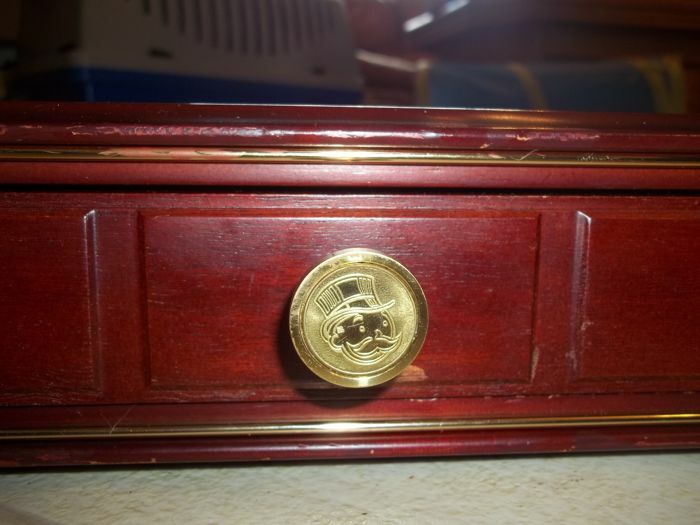 Mahogany cabinet (box) with two 24 carat gold-plated bands around and 24 carat gold-plated logos. 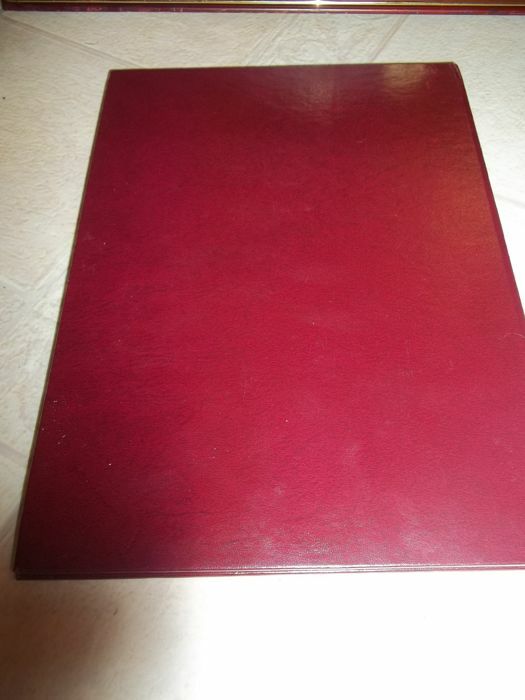 Playing field inlaid with felt. 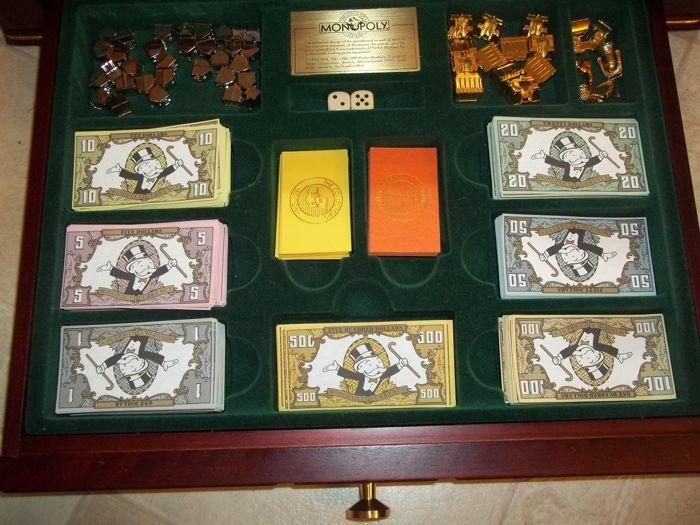 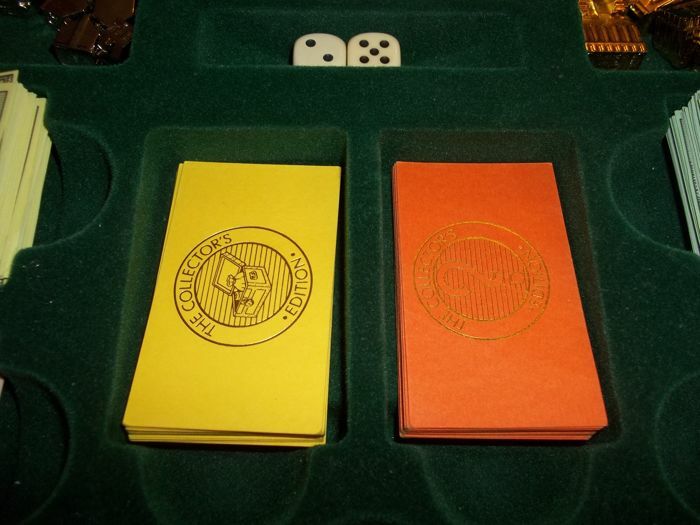 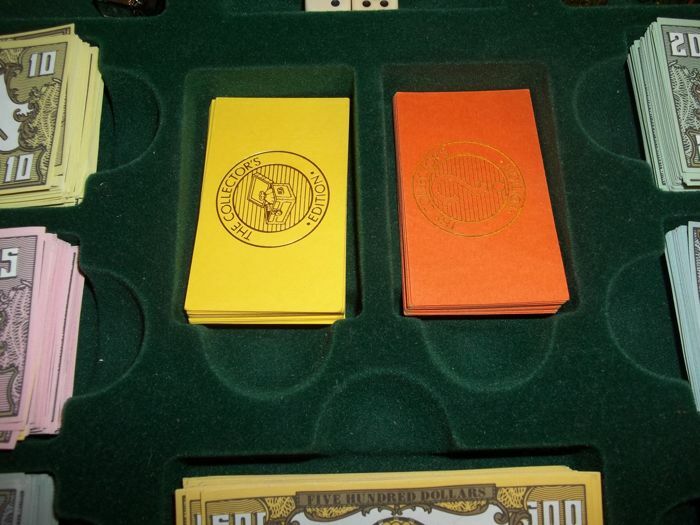 At the front is a drawer for the money, the Mutual Fund and Chance cards, the silver-plated houses, 24 carat gold-plated hotels, 7 x 24 carat gold-plated pawns (shaped like luxury items) and the 2 dice. 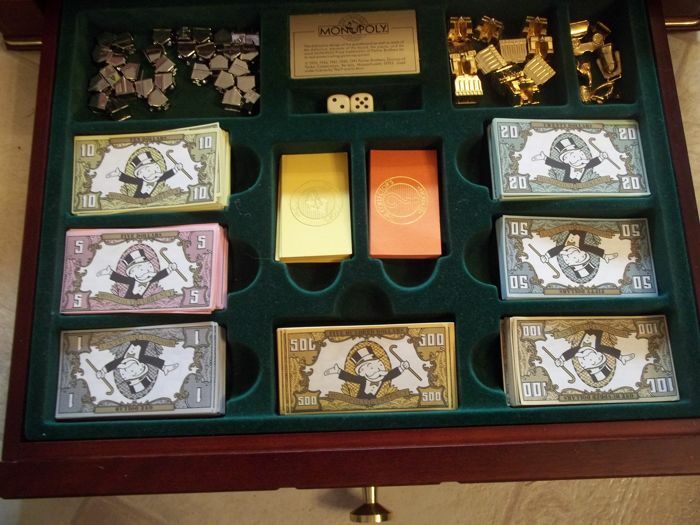 Each have their own compartment. 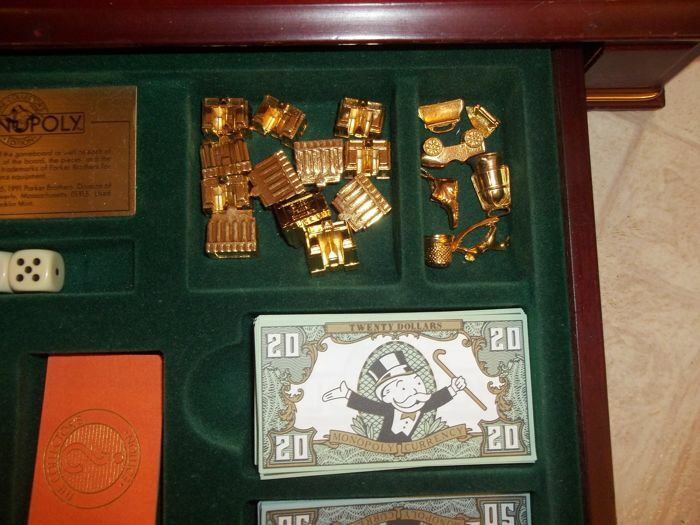 The drawer also has a 24 carat gold-plated button. 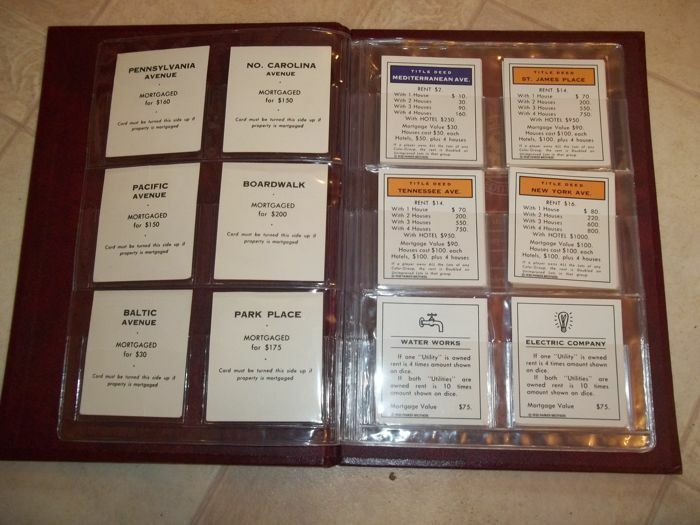 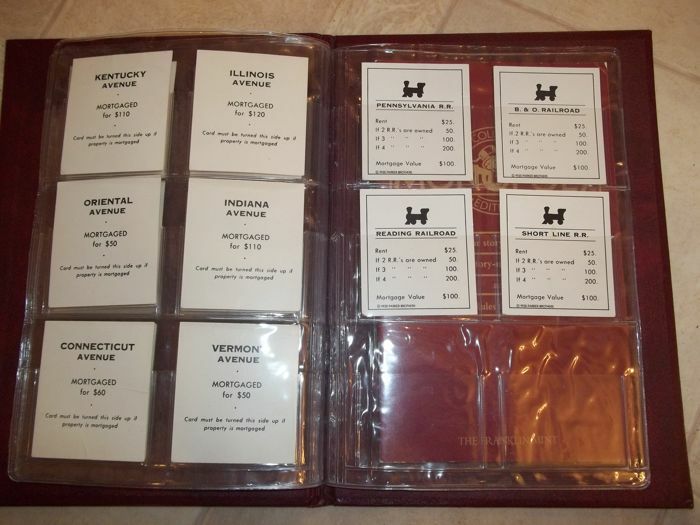 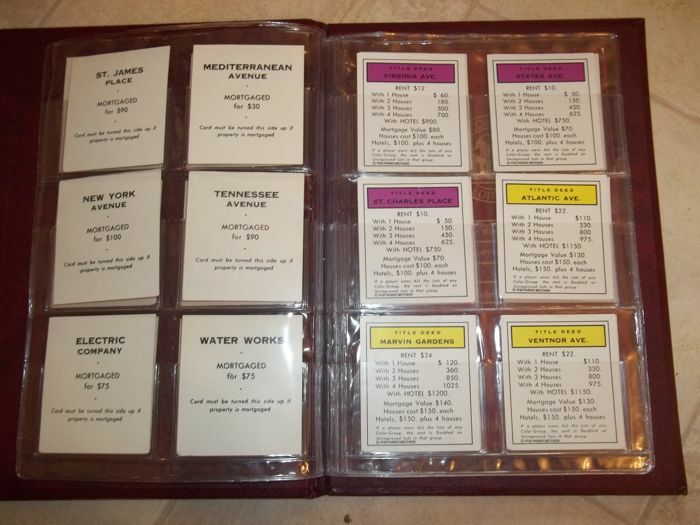 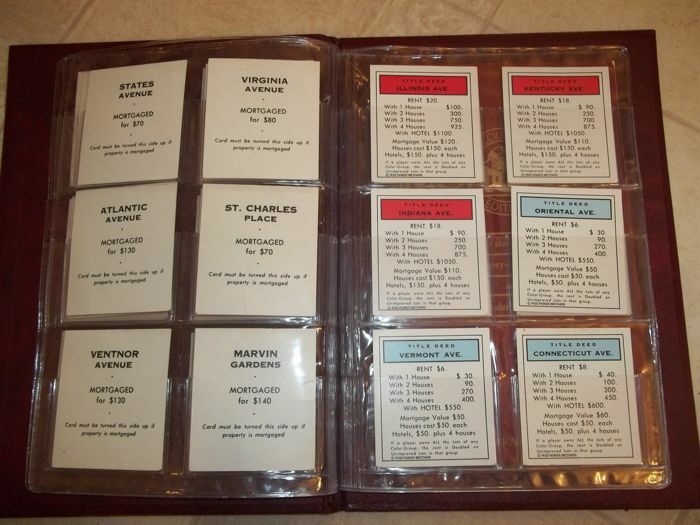 The complete set of cards with street names are in a separate folder. 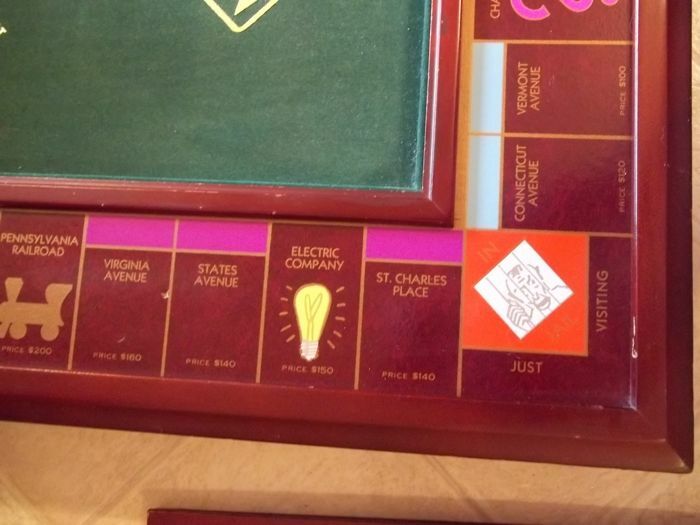 Still in a very good condition with, of course, some damage to the wooden frame, but that can be easily updated with a marker. 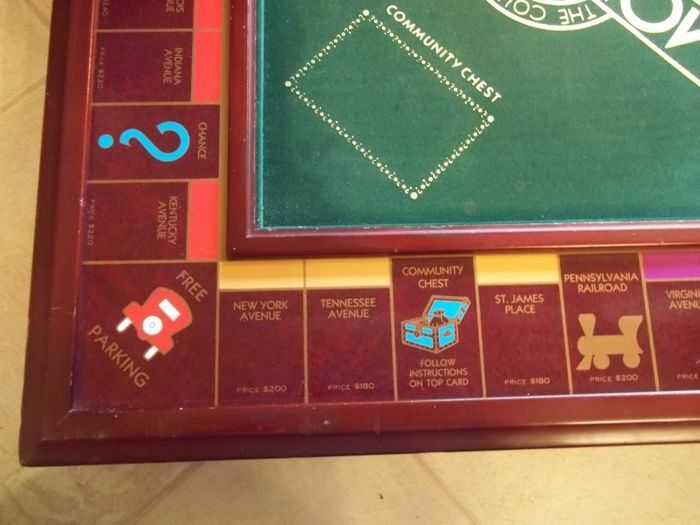 Please see the photos for a further description. 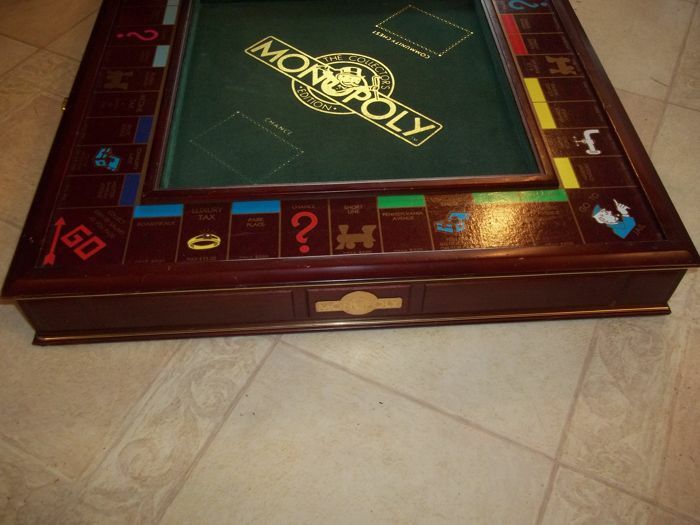 Will be shipped by registered and insured post. 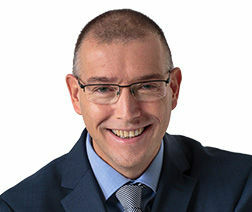 Pick up is also possible in Den Bosch, the Netherlands.